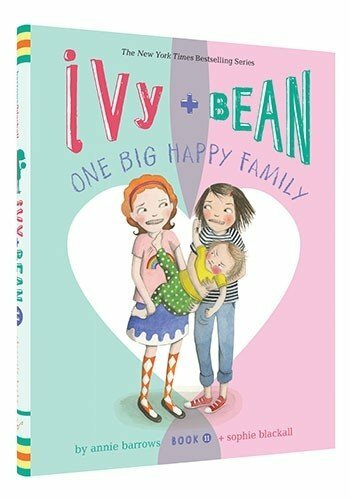 The wait is over because Ivy and Bean are back! 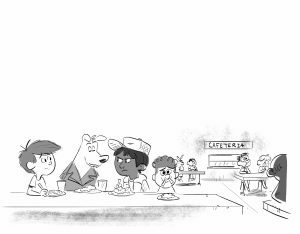 In Ivy + Bean: One Big Happy Family (the eleventh book of the critically acclaimed series), second-grade teacher Ms. Aruba-Tate has the class draw the Important People in their lives. This leads Ivy to wonder whether she’s spoiled because she’s an only child. After the BFFs try various things to test whether this is true, Ivy realizes the “cure” is to get a sister! Interior spread from Ivy and Bean: One Big Happy Family (Book 11) written by Annie Barrows and illustrated by Sophie Blackall, Chronicle Books ©2018. As usual, misdirection and mayhem unfold as the girls conjure up creative ways to obtain a sibling. They discover baby sisters are almost as bad as big sisters, leaving only one solution: twins. Although One Big Happy Family tackles a somewhat common premise, the story line goes to unexpected places. 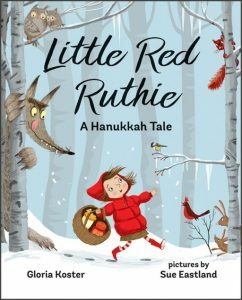 Other books involve siblings issues, but Annie Barrows finds new ground in which to grow this story. 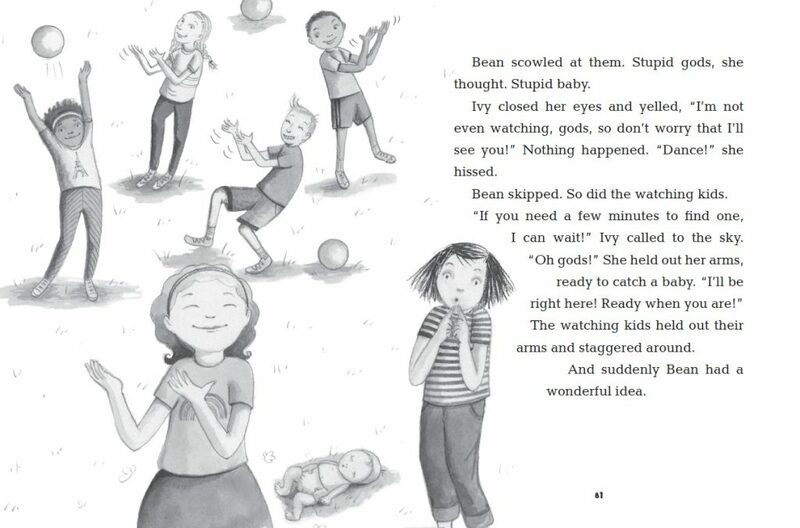 She continues the series with the humor we expect from adorable troublemakers, Ivy and Bean. 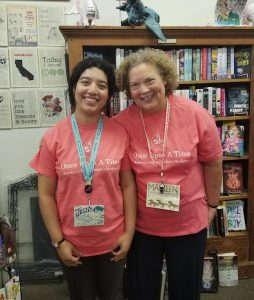 Fans and new readers alike will enjoy spending some time with these girls as they traverse their Pancake Court neighborhood, taking life by storm. 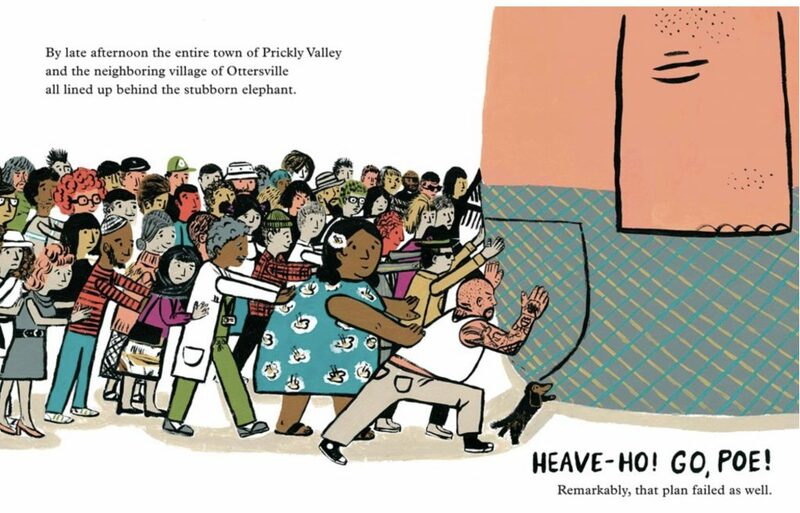 Sophie Blackall’s illustrations on each two-page spread convey hilarious facial expressions and silly predicaments. Images and text interweave, boosting these chapter books to something better than each half alone. Carefully placed details add depth beyond the humor. The girls tackle real-life issues but do so in a way only Ivy and Bean can. Their escapades, while outrageous at moments, also work out issues in kid-relatable ways, demonstrating why this series continues to be a hit at home and in the classroom. 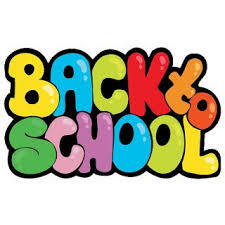 This time of year always brings so many emotions to students and parents alike as the realization settles in of a summer more than halfway over. I always remember the back-to-school preparation in my household as a fun yet chaotic time of paper everywhere, backpacks filled, and of course, shiny new books! 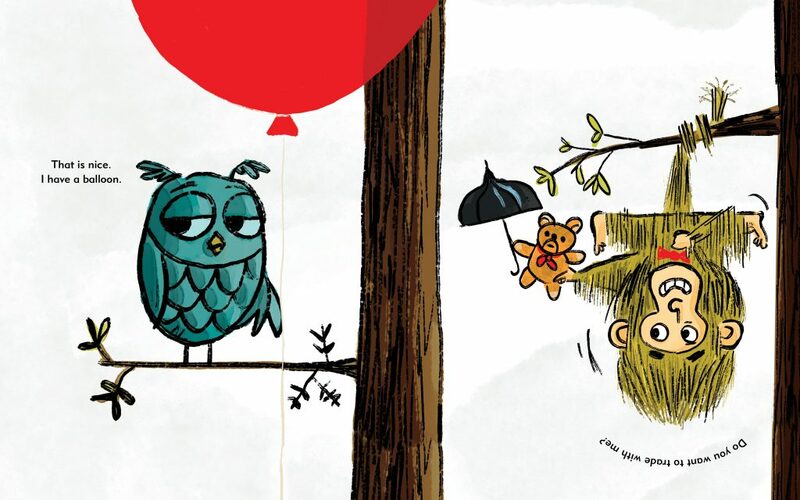 This month we’ve got a variety of books covered including Hello School!, I Love You All Day Long, Mr. Monkey Bakes a Cake and Mr. Monkey Visits a School. 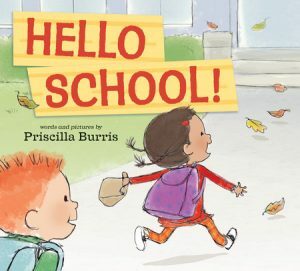 A brand-new picture book for preschool or kindergarten students eager to start the school year is Hello School! (Nancy Paulsen Books, Ages 3-5) written and illustrated by Priscilla Burris. The title of the book captures the energetic possibilities that come with experiencing school for the first time. 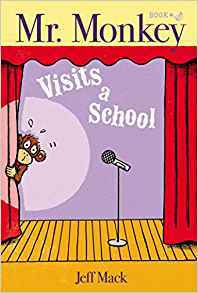 Each page shows a different part of the school day from greeting classmates, circle time, nap time, and recess all told with soft-colored illustrations. I love the little speech bubbles on each page that demonstrate children’s reactions about going to school. For example, when talking about new favorites, one child says, “Orange is my favorite,” and another carefully asks, “Can every color be my favorite?” prompting a parent or teacher reading this aloud to answer “Yes!” Once Upon A Time is excited to host Priscilla Burris on Sunday, August 12 at 2 pm to share this new picture book and the new school year so mark your calendars so you don’t miss this fun event. 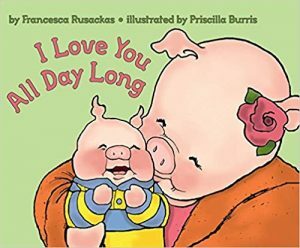 Sometimes children new to the school experience need a little help getting over their anxiety and one picture book that does this well is I Love You All Day Long (Harper Collins BYR, Ages 4-8) written by Francesca Rusackas and illustrated by Priscilla Burris. The story starts with little Owen asking, “Do I have to go today, Mommy?,” prompting his mother to respond yes as you carefully see her packing a lunch box. 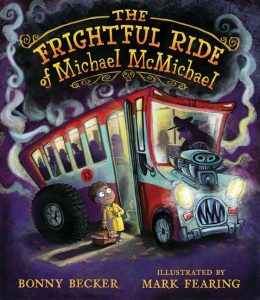 Then the real trouble is revealed, “But you won’t be with me!” and the story unfolds as the illustrations show Owen finding new friends, having fun, making mistakes, and overcoming challenges all with the reminder that his mother loves him even when she is not right there with him. The tone is perfect as it is not overtly a back to school book and is instead more about a mother-son relationship. 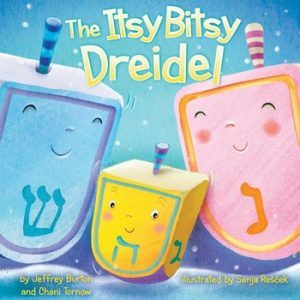 I find this book to be a beautiful story that would be perfect to read the night before or morning of the big first day of both preschool or even college. 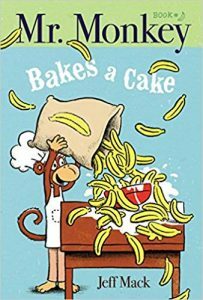 Finally, I am eager to share with you my new favorite early reader series, Mr. Monkey (Simon & Schuster BYR, Ages 4-8) written and illustrated by Jeff Mack with two titles out this season, Mr. Monkey Bakes a Cake and Mr. Monkey Visits a School. 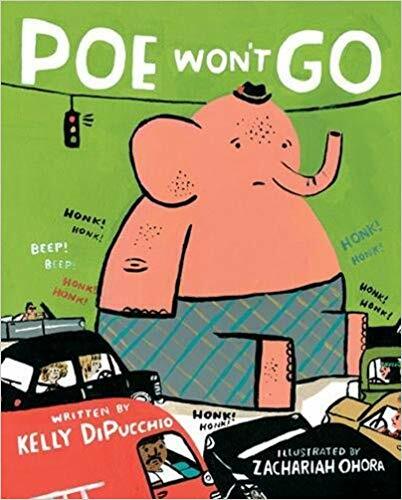 In this paper over board book we follow Mr. Monkey and his wacky adventures sure to delight readers who laugh with Amelia Bedelia or the Elephant and Piggie books. 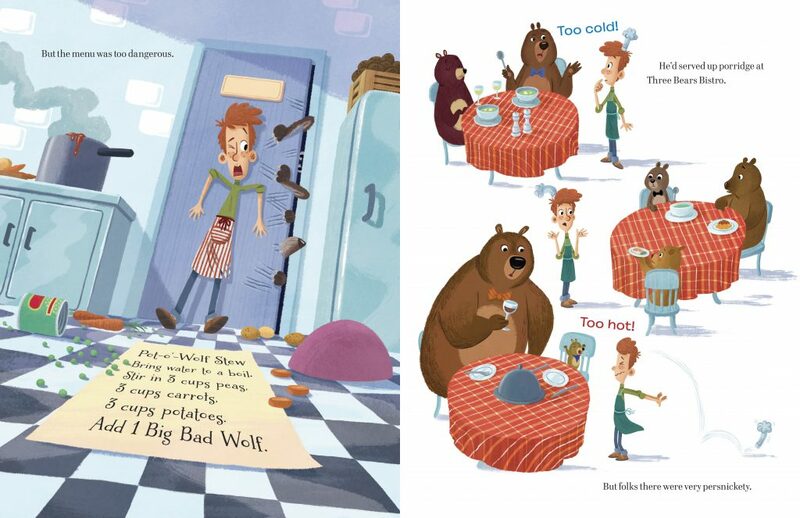 Each page has only two to five simple sentences that easily match the colorful and animated illustrations inside, perfect for kindergarten and first grade readers who are still puzzling out context clues to understand the words on the page. 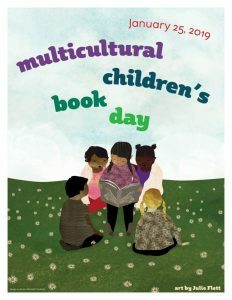 A great addition to any library at home or at school. 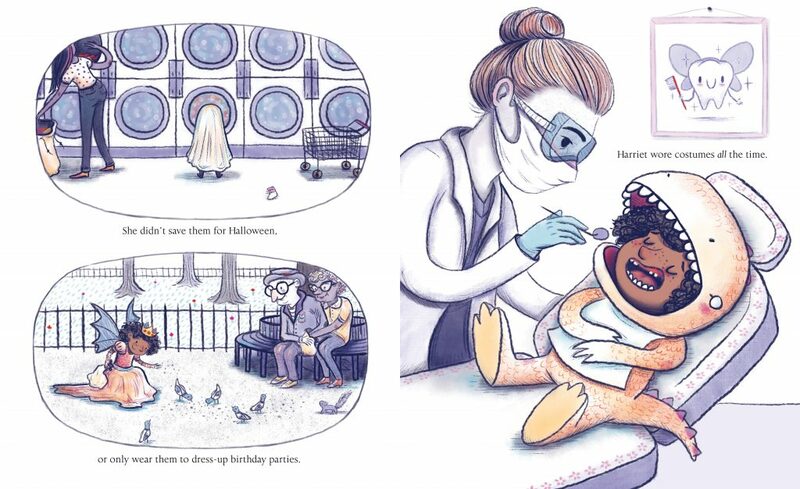 Julie Falatko’s new chapter book, TWO DOGS IN A TRENCH COAT GO TO SCHOOL with pictures by Colin Jack and edited by the incredible Matt Ringler at Scholastic, is a book you will want to hug after you finish howling with glee. 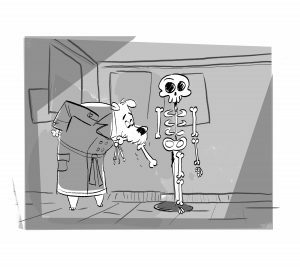 Interior artwork from Two Dogs In a Trench Coat Go To School written by Julie Falatko and illustrated by Colin Jack, Scholastic ©2018. I know this book is MEANT for kids (8-12) but I would hand this book to anyone: The Bus Driver. Grandpa. Children of all ages (I understand the audio version is hilarious, making it perfect for summer road trips). Squirrels. 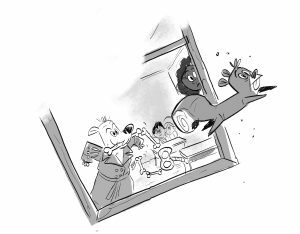 Okay, maybe not squirrels, because, as the story’s heroes, Sassy and Waldo, know—like good dogs do—squirrels are unpredictable to say the least. 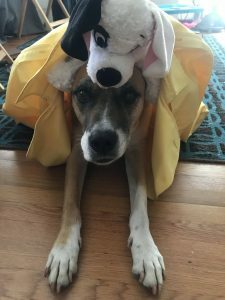 In fact, in TWO DOGS IN A TRENCH COAT GO TO SCHOOL, the squirrels that drive Sassy and Waldo to extreme lengths to protect their home remind me of how many other unpredictable areas of life tween-aged kids go through. We can’t predict what goes on around us in the world all the time or even half the time. And, if you’re like me, you’re a parent who has no idea when the next bought of tears or drama will unfold at your child’s school. Well, this is a book you can confidently and lovingly put into their hands to give them a break from the intensity the world so often places on their young shoulders. Meet the doggedly delightful Sassy and Waldo. They’re on a mission to help their boy, Stewart deal with stuff at school. The evil overlord (aka The Dreaded Information Sheet and Big Project Coming Up At School) is causing undue anxiety for their beloved kid. How can they help? When Waldo stands on top of Sassy and covers them with a trench coat, they turn into Salty, a new student at Bea Arthur Elementary School where Stewart is enrolled. 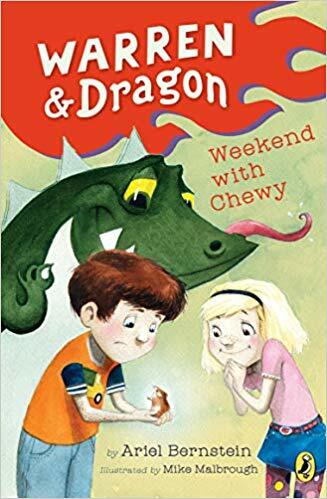 The side-splitting, laugh-out-loud dialogue alone will keep you and your kids eagerly flipping pages and ready for book two in the series so I won’t overshare. This is definitely a book that should be enjoyed to the fullest with fresh eyes. I will tell you though that Sassy and Waldo have already secured a place in my heart, being the incredible doggy heroes many of us need right now. They deserve all the meatballs they desire and will probably share them with the author of this brilliant new series. Reminiscent of HANK THE COWDOG by John R. Erickson, only instead of two cowdogs from the South caring for a ranch, here we have two dedicated pups keeping their home and favorite human safe. 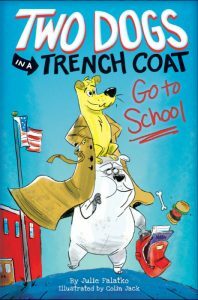 Julie Falatko’s TWO DOGS IN A TRENCH COAT GO TO SCHOOL will melt your heart. Unless you’re a squirrel just trying to get by in a world that is nuts. 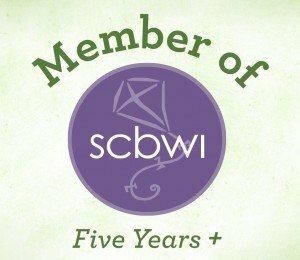 Look for Two Dogs in a Trench Coat Start a Club by Accident (book #2 in the series) due out early 2019. Visit Julie Falatko’s website here. Visit Colin Jack’s website here. See the book trailer here. 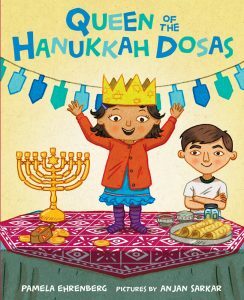 Read Ozma’s review of another Julie Falatko book here. 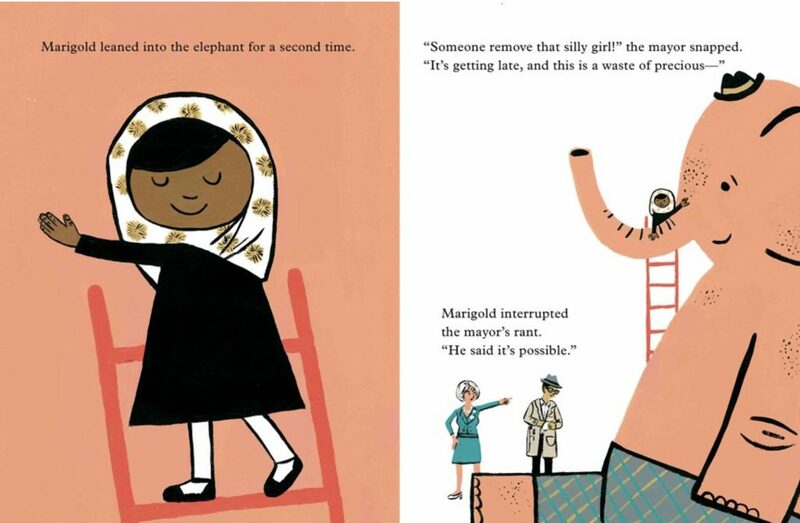 Harriet … oh, amazing and wonderful Harriet, the star of HARRIET GETS CARRIED AWAY along with her two incredible dads, will make readers all Sima fans if they aren’t already! 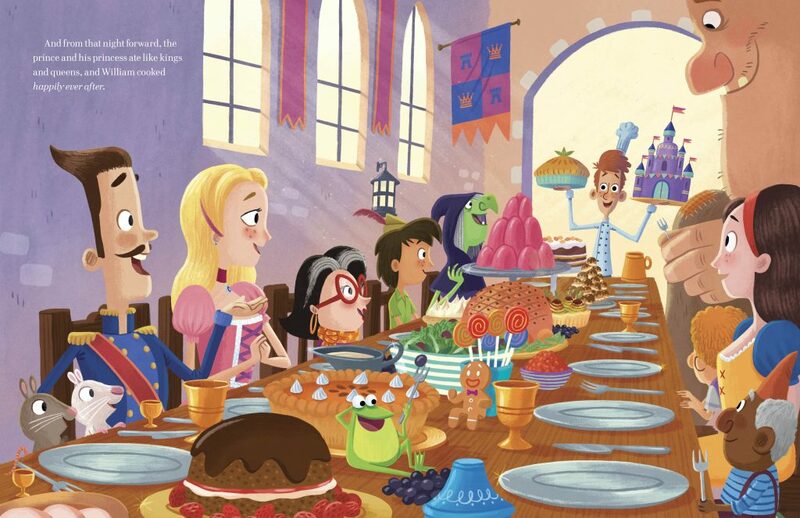 My students couldn’t get enough of this brilliant 48-page story … from Harriet’s desire to dress-up no matter what the occasion to her phenomenal imagination and charm, they were hooked. Harriet is SO excited about her upcoming dress-up themed birthday party, and the task at hand is to venture into the city with her dads to buy party supplies since everything else has been taken care of. One stipulation: She’s asked not to “get carried away” when searching for birthday hats at the store. 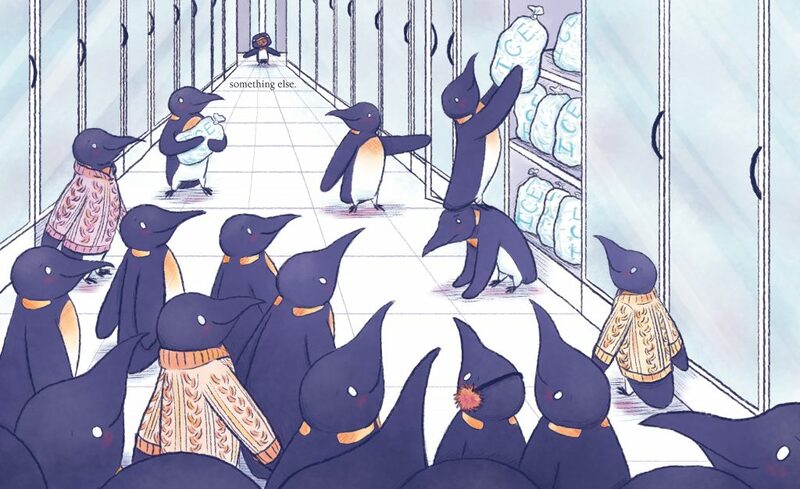 But in Harriet’s world getting carried away comes easy and she soon finds herself wandering off in her penguin costume with real life penguins. She becomes stranded on an iceberg and realizes she must make her way back to her dads at the store and find the party hats before it’s too late. 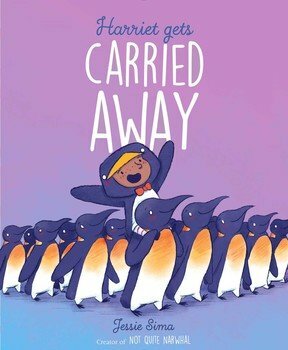 When her attempts at leaving the penguins don’t pan out, Harriet’s helped by an orca and some delightful pigeons. Harriet returns to her dads and has the best dress-up birthday party ever … with only ONE of her party attendees getting carried away! This is one of those stories that will be requested numerous times since it provides a unique, yet fully relatable, experience for youngsters. 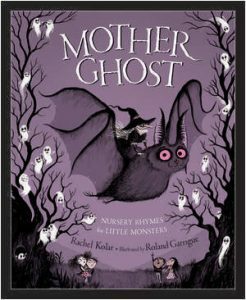 The writing is quick to action and paced beautifully for children to silently take in every delicious illustration that accompanies the beautiful prose. My favorite moment is when a penguin tells Harriet to “lose the bow tie” she has proudly put on over her penguin costume. Instead, she adjusts her fabulous red bow tie and does things her own way. Jessie Sima courtesy of Simon & Schuster Books for Young Readers ©2018. 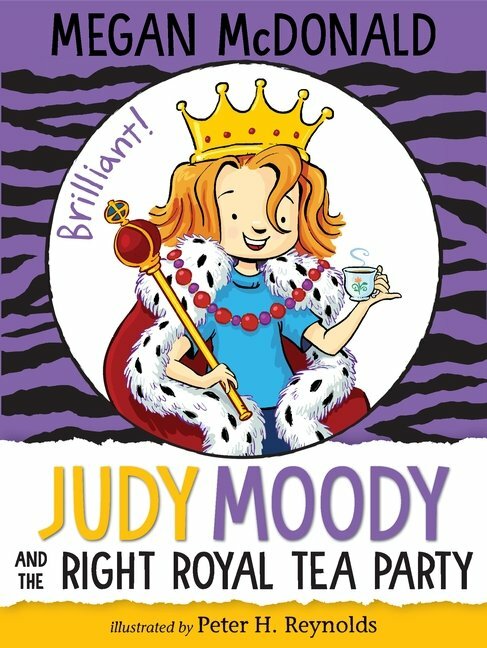 I know, I know, there are SO many Sandra Boynton books that beg to be read aloud including Moo, Baa, La La La!, The Going to Bed Book, Barnyard Dance! 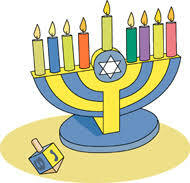 and Blue Hat, Green Hat, in fact I still can recite many of them after first reading them over 20 years ago. But Hippos Go Berserk! has a special place in my heart because both my children adored it and would not let me donate it when they grew too old for picture books. My copy is from 1996 although the book was first published in 1977. 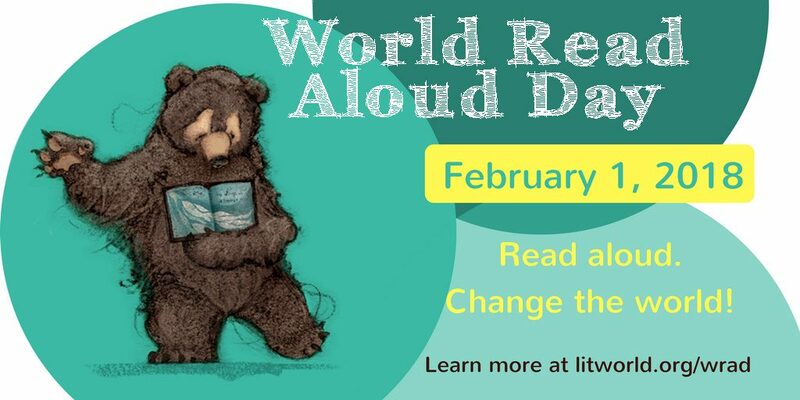 When I think about what makes a story great to read aloud, I think about readability. Is the story easy for a parent, teacher, caregiver or child to read or do words slow them down? 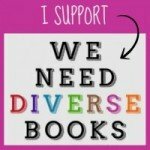 Can people take turns reading or pretending to be the characters? Are the pictures depicting some readily understood interpretation of the text? Does the book make you feel good when reading it? Is there fun repetition or engaging language? Can kids anticipate what comes next? 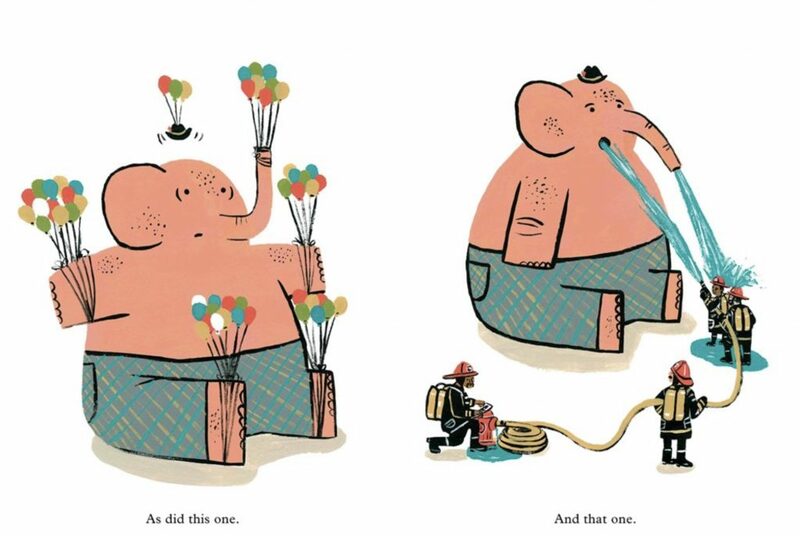 Anyone looking at me reading Hippos Go Berserk!, even as an adult, will see a huge grin appear on my face after turning from page one to page two. So simple you may think, but the artwork Boynton’s created speaks volumes. First there’s a sad, lonely hippo on page one who decides to make a phone call to two friends. The mood of the story changes with just a flip of the page! Things are looking up. ALL THE HIPPOS GO BERSERK! The letters are deliberately in all caps, and the bold type invites readers to use an outside voice. The scene is wild. The joint is jumping and hippos everywhere are having a blast, except maybe the ones hired to serve the hors d’oeuvres. With so much zaniness going on, Hippos Go Berserk! will be read over and over again, each time with some new discovery being made in the party spread. 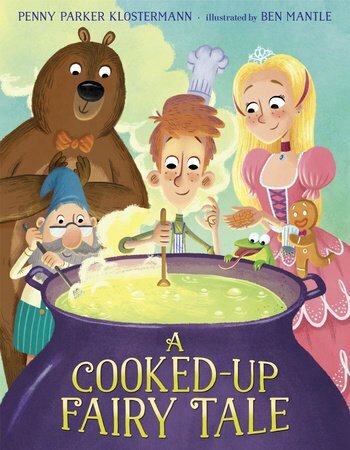 Soon kids will know the story by heart, helped by the rollicking rhyme and whimsical artwork. The all-night party must come to an end and before you know it even “The last two hippos go their way.” Somehow though, readers aren’t disappointed because there’s hope that the lone hippo, sitting by the phone just like when the book began, will inevitably pick up the receiver and make another call. I don’t know if, all those years ago when I first read Hippos Go Berserk! 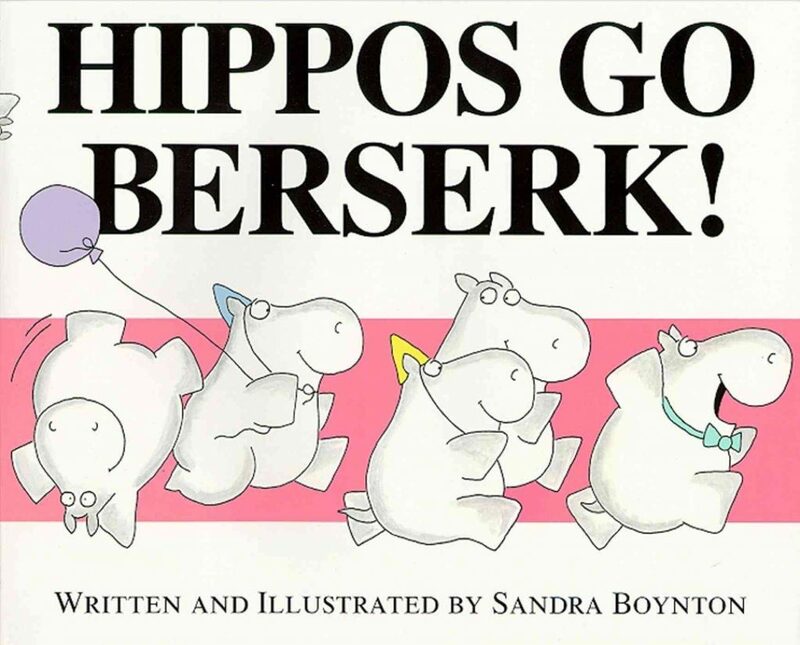 to my children, I knew that Boynton wrote this delightful story when she was a student at the Yale School of Drama, but now I completely understand why her hippos are so darn dramatic not to mention adorable! 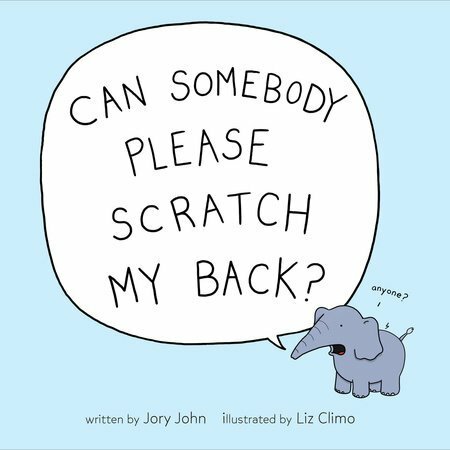 After reading The Bad Seed written by Jory John with illustrations by Pete Oswald, I truly appreciated its deep message about the value we place on ourselves and others based on behavior. 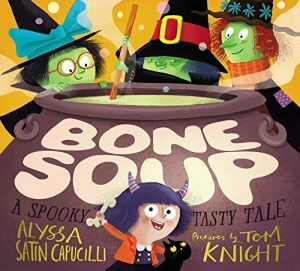 Here’s where the review gets interesting though; while this is a children’s picture book geared towards ages 4-8; I feel it’s also a great book for older kids and even adults! Younger kids, especially in the world we live in today, know the power words hold over someone. When reading to a younger crowd, as a teacher, I would explain that words like “bad” and “good” are labels. We all make mistakes sometimes. Why is the seed labeled this way? For older children the book serves as a reinforcement of what they hopefully know to be true, there’s always room for self-growth. The story follows a little sunflower seed who loves his family dearly on their Sunflower head home. As the seeds scatter when it’s nature’s time for them to drop off the beloved plant, they become separated. Our once loved and happy seed protagonist quickly becomes traumatized by events beyond his control (such as a man at a baseball game nearly swallowing him and then being spit out- with a permanent crack in his once whole shell!) 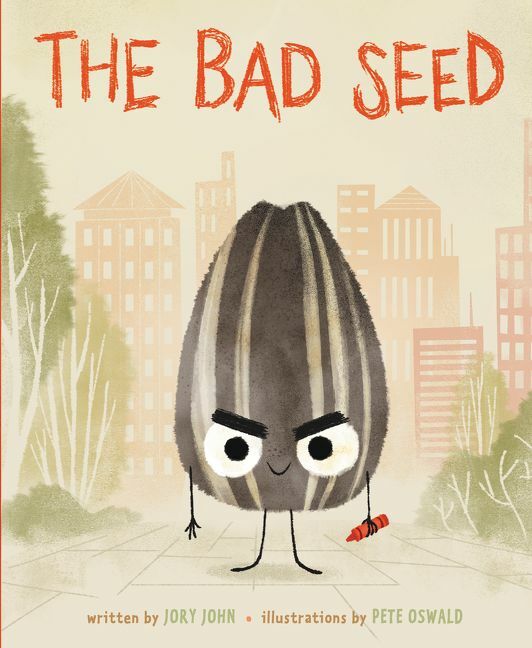 The seed isn’t so happy anymore and is convinced that he is bad (something anyone with trauma in their life can relate to, as it is often the victim left feeling at fault). He begins to act out by deciding “not to care anymore” which he does by not listening to others, lying, and not washing his hands, among other things. But what our dear seed needs desperately, is for someone to connect to. To see his cracks and accept him, showing him that he can be whole again from the inside out. Children often act out when they need help, and our little seed is a perfect example of someone needing intense care. He eventually tires of his “bad” behavior and starts working on being “good” again. I say these words in quotes because the truth is none of us lives in a world of black and white/good or bad people. It requires constant awareness to make positive choices to be your very best self and not let a label define you. We never know someone else’s background- their own unique make-up and history, so labeling them as “bad” or “good” means that we miss out on why they are behaving that way to begin with. With children especially, curiosity goes a long way in sorting out behavior that doesn’t work. We are all moving through each moment trying to meet needs. 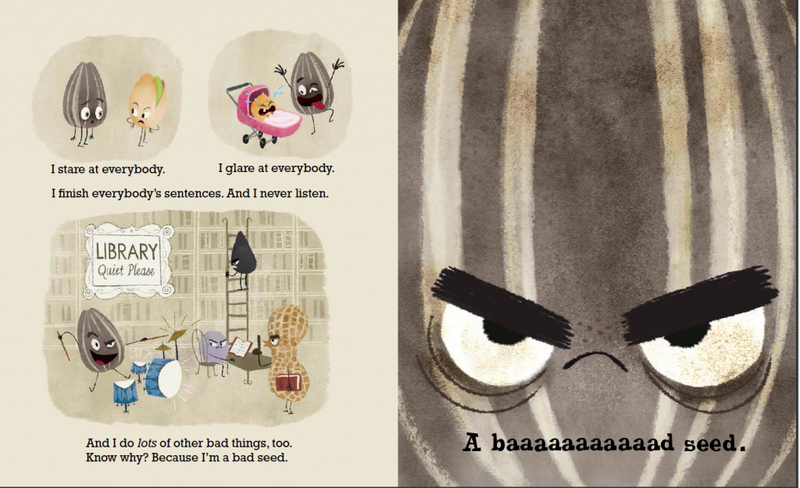 Some strategies we try are better than others, and The Bad Seed, through both its humorous art and prose, illustrates that beautifully. Pete Oswald’s expressive and whimsical illustrations truly capture the emotions of this little seed in a way many children can relate to so they can instantly guess at how he is feeling. I recommend this book as a tool to show that we never know what someone else has been through. Being curious, asking questions, and offering kindness before judging and criticizing would be best whenever possible in life. 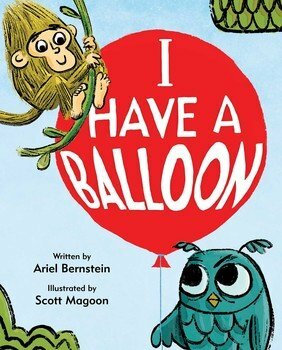 Rarely, is a sequel to a fantastic picture book better than the first. Don’t get all excited. Alright, it’s not necessarily BETTER, but by golly it sure is just as incredible as the first and every page enjoyable to the fullest. 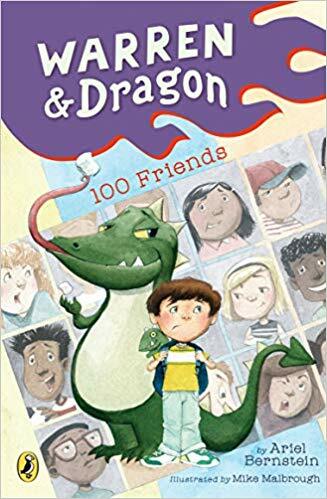 Snappsy the Alligator and His Best Friend Forever (Probably) written by Julie Falatko and illustrated by Tim Miller is a picture book all kids can appreciate in terms of friendship woes. 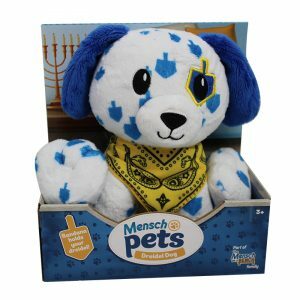 From as early as they can talk with friends, children are ready to define their friendships into categories––quickly going from “You’re my best friend!” to “You’re not invited to my party!” within the course of a day or even hours. 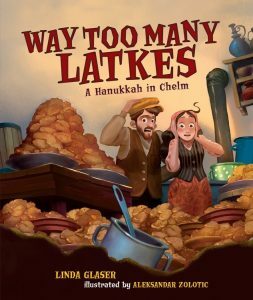 What’s so terrific about this book is the way you see two friends who are at odds find a way to share their joy. Sometimes friends need space, sometimes friends need a breather before they can play. And that’s okay. Interior illustration from Snappsy the Alligator and his Best Friend Forever (Probably) by Julie Falatko with art by Tim Miller, Viking BYR ©2017. 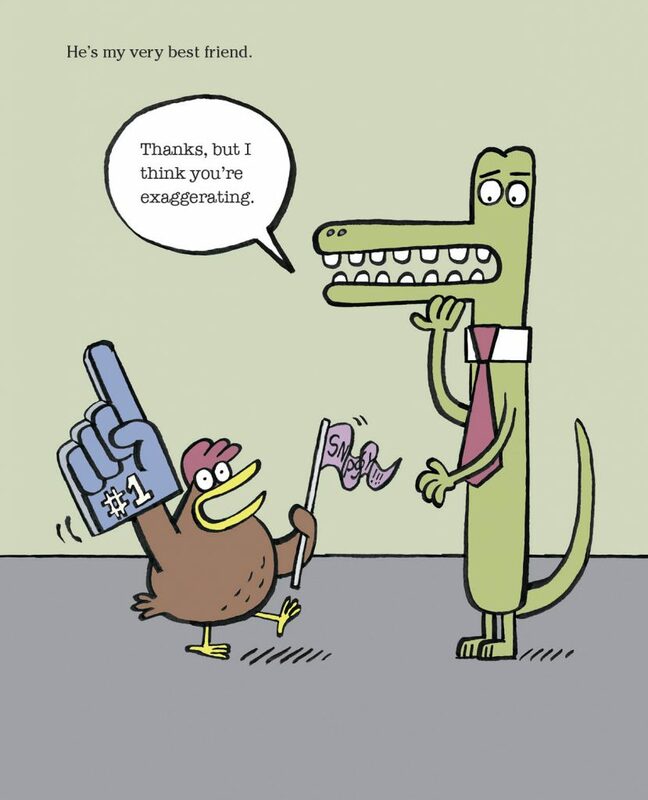 Tim Miller’s comic style illustrations bring Snappsy and Bert’s (the narrator) struggle to find common ground to life with laugh out loud scenarios cleverly constructed by Julie Falatko. At one point Bert exclaims, “Let’s play pinochle! Wear pizza hats! Braid my hair!” to an exasperated Snappsy who just wants time to himself and has no clue what pinochle is or how in the world to braid a chicken’s hair. 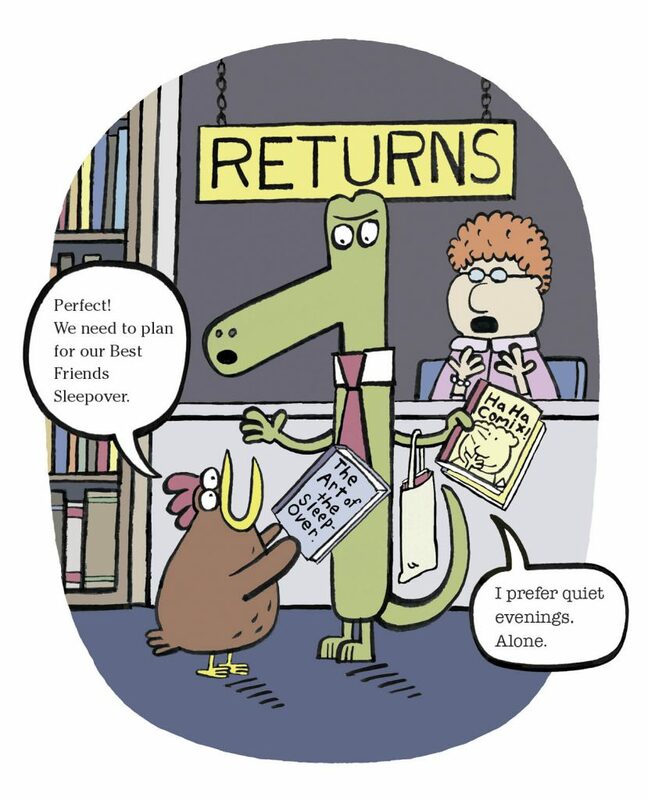 As Snappsy spends time alone he realizes how much fun it is to be with his friend Bert, and invites him in to play. 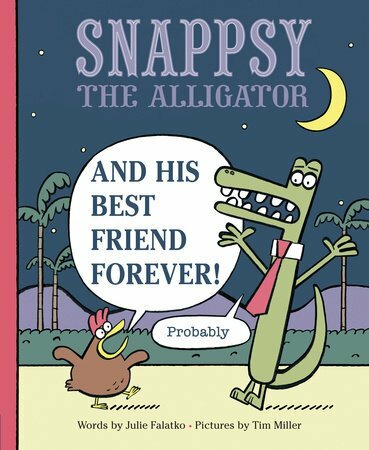 Don’t miss the chance to share Snappsy The Alligator and His Best Friend Forever (Probably), a new and entertaining read by the same team behind Snappsy the Alligator (Did Not Ask to be in This Book). 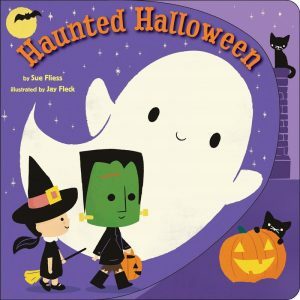 My preschool kids request this book multiple times daily and I never tire of reading it aloud and hearing their giggles of sheer delight.